I’m not prepared to go to the wall defending everything Rob Bell says or does, but I think some balance is needed against the mounting criticism online, of which perhaps this piece (click here) is a prime example. I’ve watched a number of the NOOMA videos, but I’m not sure if I’ve seen Dust. I have heard the sermon that it’s based on however, and therein lies a huge difference. I’m a big fan of Rob’s preaching, but on days like this one, I sometimes wish that NOOMA didn’t exist. The full sermons offer the full experience. Nonetheless, I find this concept somewhat straightforward. Peter asks Jesus if he can join him walking on the water. Rob brings a lot of cultural context to this request in the full sermon, and in other teachings. Peter, you see, is a lead disciple. His impulsive nature is actually manifest in the fulfilling of what is expected of the token ‘older’ talmudim (Peter has a mother-in-law, so he’s married; Jesus tells him to look inside a fish to find a coin to pay the tax “for you and I;” the other disciples being too young for that tax.) The disciple is expected to do what [i.e. everything] he sees the rabbi doing. Peter is just not sure he can do it, and he begins to sink. Again, it’s not that he doesn’t believe Jesus can walk on water, or that Jesus can give him the power to also walk on water. It’s just too big. Too big for him to handle. He doesn’t believe he can do it, even though it’s quite evident that Jesus can. But Jesus believes in him, in fact Jesus doesn’t just restore Peter to ministry later on after his denial, he is constantly about the business of restoring and reinstating Peter to ministry. After the abortive water-walk, after the whole “get thee behind Me” thing, and after the three-time denial. That’s what Bell is saying. Do you get it now? No? Then give up. Maybe it’s a generational thing. 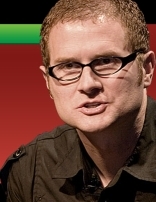 Maybe it’s not that you can’t wrap your brain around it, maybe you just don’t like Rob Bell. Maybe you just can’t handle the idea that a new generation of communicators is taking the stage. Maybe you can’t remember when your earliest attempts to express your hope in Christ was packaged in difficult metaphors and rough-edged stories. Rob Bell is not saying that the essence of Jesus’ ministry is “just believe in yourself.” Bell, if he bothered to respond at all, would say that we are saved by faith in Jesus Christ. This context is a unique presentation of a unique concept that applies to one disciple in one particular time and place. His application is that Jesus believes you can do this. You can live this Christ-following life. He will give you the strength and the courage to live out this faith in a world of temptation, trial and opposition. He has faith in you to be His instrument to carry out His plans and purposes in your generation. Give the guy a break on this one. Or is that you really don’t want to? I don’t agree with everything he says, I couldn’t finish his friend Peter Rollins’ book, and the hiring of Shane Hipps may prove more problematic than anyone expected. And don’t extrapolate a pastor’s core theology on the basis of a ten-minute “discussion starter” video. I’m late posting to my blog today because I’ve spent the whole day reading and finishing a book that a month ago, you probably could not have paid me to read. Let me explain. Twenty years ago we moved from The Big City to a town of about 15,000 people. The churches here were characterized by a rural mentality that includes a resistance to change. Before we got married, I wrote something called, “A Proposal for a New Kind of Church.” About 200 copies were distributed. It’s a topic that’s always interested me and still does. Although I’m older now, I tend to think young when it comes to church and culture. That means, in other words, that I take my cues from Brian McLaren, Michael Frost, Wayne Jacobsen, Frank Viola, Alan Hirsch, Jim Henderson, and other writers of that stripe. I want to hear their ideas and align my thinking with some of the more progressive voices on ecclesiology. “Don’t order it, then;” was his response. So when a group of people from some equally conservative churches started asking about Gordon MacDonald’s Who Stole My Church? I had a similar nervousness. I think at first, my brain was thinking more in terms of John McArthur — the names sound somewhat alike — and my attitude was, ‘What can he possibly have to contribute to this discussion?’ Gordon MacDonald’s authorship didn’t change my preconceptions. What could he say that McLaren and Frost hadn’t already? The answer, surprisingly is, a lot. After several suggestions that I was being a book bigot (and then reading a few reviews) I brought the book home on New Year’s Eve and started it at 11:00 AM this morning and finished it at 7:00 PM. I’ve never done anything quite like that before. Although he doesn’t acknowledge it, MacDonald takes his own cue from some next-generation communicators and uses a partially-fictional narrative set in New England to make his points. It’s a brilliant move because characters in the story are able to introduce the requisite objections to church change at each juncture. If you [i.e. a pastor] really do give away your heart, then we people leave, they take a piece of it with them. I have known more than a few pastors who have given their hearts away piece by piece until one day there was nothing more left to give. It’s not unusual for some pastors to reach a point where they can no longer manage the disappointments of people leaving or just hanging around and making trouble. Something dies within them, and they either quit or begin to treat their work as a regular job in which a person counts the days until retirement. One chapter gives some fresh insights into the underlying factors that create the traditional or conservative mentality in the church; one being the Great Depression. His analysis also is brought to bear on the role of women in the church, although it’s not a central subject, but part of the larger issue of the ‘paid staff versus volunteers’ debate. Interspersed throughout the fiction are some practical steps a church can take when the generational wars are looming large. Also mixed in are examples from both New and Old Testaments of principles of change at work in the lives of Biblical figures. I’d write more here but I’ve got to start compiling my personal list of people who simply must read this, and that includes people on both sides of the generational and worship-style divide. Who Stole My Church: What to Do When the Church You Love Tries to Enter the 21st Century by Gordon MacDonald was originally published by Thomas Nelson in 2007 and is releasing in paperback later this month. When your blog is intense with links to news sites and other blogs, it’s bound to be exciting. Sometimes I link you somewhere only to learn later that on the day the post appeared, the site at the other end of the link put something up that isn’t exactly the kind of content we expected. If that happened to you recently, I’m sorry. The link in question has been removed. Such is Christian worship in 2009. But now you’re sitting at your computer and you’re surfing for some good Christian blogs to read, but finding yourself in a kind of spiritual twilight zone. The people you’re reading — in many cases anyway — don’t look or talk like the people you meet on Sunday mornings. You ask yourself, “Why can’t I find a blog by someone online who looks like me?” So you keep searching. There’s nothing objectively wrong with being Calvinist. Most people are either Calvinist or Arminian in terms of their core doctrines, so you’re going to end up as more one or the other eventually. The problem is that these people are consuming vast amounts of bandwidth engaging all kinds of deep debates which, while they might prove valuable in terms of Bible study on obscure points of doctrine, no one can remember how they got started. The other problem is that they tend to use the word “Calvinism” or “Calvinist” ten times more often than they use words like “Christian” or “Jesus.” Or worse, they use words like “Monergism.” Believe me, if you think you’re coming down with a case of Monergism, you might want to get it checked. Personally, I want my ticket to Eternity to be based on Christ’s finished work on the cross for my sin, and not that I stood for a particular organization, denomination or doctrine; or that I could recite all the proof-texts for a particular viewpoint. Somewhere along the line, the joy of their salvation got sucked out and replaced with a mission: That all Bibles everywhere on earth be eliminated save for their one copy of the King James Version in black leather. With a red ribbon marker. And a zipper. Which, is fine if that’s what you like. Goodness knows one part of my Zondervan Bible software is still set up to do keyword searches in good ol’ KJV, though it displays the results in something more readable. But Onlyites aren’t allowed to have preferences. They have to spiritualize everything, and if they can’t find enough external evidence supporting the supremacy of one particular translation, then they make stuff up. Never get in an argument with these people because there is nothing — absolutely nothing — you can say that will sway them. Yea, verily, their mind hath been firmly fix-ed, neither shall anyone dissuade them. Thus spake I. The fact is, we’re all sinners in God’s eyes. We’ve all missed the mark in various ways at various times. Our attempts at righteousness are as far from “pure white” as the paint rags I used during our last kitchen reno. So yes, nobody is going to get on God’s heaven registration list just by trying to live a good life and be a good person. On the other hand, this approach, as true as it is, while it works well if you’re doing somewhat random “witnessing” to strangers, is about as far from lifestyle evangelism as you want to be; especially with friends, neighbors, relatives, co-workers, fellow-students, etc., that you want to see cross the line of faith over the long-term. Plus, at least you’ve earned the right to be heard, instead of spouting volcanic eruptions of guilt and condemnation. So while it’s true that there aren’t many roads to God, there are many ways to introduce someone to Jesus. L&G people tend to get upset if you’re not doing it their way, or winning as many people as they are, or feel called to do street ministry. Years ago, a rather cool guy named Walter Martin figured out that with all the cults and “isms” out there, it would be good for someone to track the beliefs of different writers and organizations whose beliefs bear a strong external similarity to Christianity, but also hold to other ideas that are somewhat off the wall. He started what is often called a discernment ministry. With some of the excesses sometimes found in the Charismatic movement, that investigation started hitting closer to home. Which may be justified. Especially when you have a research staff documenting everything so that your end product isn’t just a load of innuendo and veiled accusations. Today however, it seems like there is a Walter Martin wannabe around every corner. And they don’t trust anyone under 40. Which means they can — and probably will — show up at your church on Sunday morning and nitpick over the use of words and phrases and pronounce you apostate, cultic or — even worse — Emergent. (Note: Emergents who quote Charles Spurgeon and Jonathan Edwards totally confuse them.) And you don’t want to know their views on music. These people never actually blog anything original but simply cut and paste vast amounts of sermon texts, often completely omitting to include anything resembling paragraph breaks. 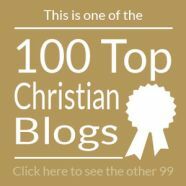 Like the Hindu temple priests who believe there’s something in the incense that rises up to God, these Ctrl-C, Ctrl-V bloggers believe that there’s something of value in posting these vast and usually impossible-to-follow sermons online, that apparently can only be perceived by God Himself and other Sermon Scribe bloggers. Personally, I’ll take a podcast over text. You get the inflection of the speaker who, if they are tech-savvy enough to post a podcast, usually has a communication style that’s less 1910 and more 2010. Plus you get the audio equivalent of paragraph breaks: Deep breaths. There are some good leadership blogs out there. I even link to some of them in my blogroll. But if you’re a new Christian, you need to know these aren’t for you so much as they’re for pastors to communicate with other pastors. Frankly, pastors have different issues than the rest of us. They live in a world that is vocationally as far removed from you are as the east is from the west. They work odd hours. They drink a lot of coffee. They read books that even the staff at your local Christian bookstore don’t know how to find. I have great respect for these men, and 99.44% of them are men. But their blogs should exist on some kind of private blogging network that only other pastors can access. One of my favorites is actually not on my blogroll for just that reason. I started thinking about how frustrated and confused I would be if he were my pastor. It’s good stuff, it’s just not good for everyone. Some people think the big money to be made off Christianity these days is in running conferences and seminars. I disagree. The big money is actually in the airline business and the hotel business. And those lanyard name tag things. With this category, we’ll end this this theme, and since you’ve all been patient enough to get this far, you can read more about this in my latest book, which, while you’re ordering it online, you can actually pre-order my next book which is coming out next month. Plus, we just got in a skid of my first book, and if you’re interested in buying these in case lots (only 72 copies to a case) to give away to all your friends, we can ship them to you free freight if you order them by Friday. Christmas is coming, and you don’t want to be without a gift to give that unenlightened pagan who lives next door. Also below you’ll find a link to my latest video promoting all four of my books, plus a PayPal donation button if you really enjoy the great insights I post here daily. On the sidebar, you’ll also find a link to a story about me in the New York Times and a picture of me receiving CBA Book-of-the-year in the category “Christian non-fiction miscellaneous;” as well as all the details of our “Holy Land of the West” 14-day tour of Wheaton, Illinois (with optional day trips to Barrington, Elgin and a two-day side trip to Minneapolis, Minnesota.) Did I mention my book? I am convinced that one of the biggest mistakes we are making in the church is not empowering, elevating and resourcing the next generation of leaders within the church. Whatever happened to what we once called “Paul-Timothy” relationships? Today, it seems things are downright adversarial. I say that not as a 20-something, or even a 30-something, but as someone who is speaking from a greater number of years experience in the church than your average blogger. One of the problems we are facing today is that Evangelicals have always read the Bible as a set of doctrine propositions, and a new generation — yes, I’m back to that topic now — are reading it as story. Embracing the narrative to which both Eastern ears generally and also first century Christians would be more readily tuned to. In other words, reading the Bible in ways that we’ve missed. And applying it to the felt-needs that the average 21st century Joe or Joanne can articulate. The things they think are what matters or what is important. In the terminology that they use. And the Bible, being living and active (and sharper than a double-edged sword) is going to speak to the needs of all people in all places at all times. (You could almost say it won’t bounce back off the walls with an empty echo.) In other words, we don’t need to make the gospel relevant, we need to communicate the relevance it already has. The robed and sandaled carpenter and itinerant teacher has something to say to our high-tech world. 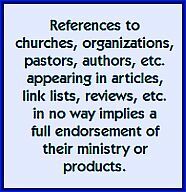 I don’t endorse 100% of every word spoken or written by every young pastor or author I mention or review here. Let me be honest, I hear and read stuff that makes my eyes bug out with surprise. But then again, I’ve sat and listened to sermons delivered by some of the most respected names in conservative Christianity and heard things that simply should not have been said. I’ve heard things passed off as fact that were merely opinion. I’ve heard jokes that were inappropriate for Sunday morning. I’ve heard conclusions that were illogical. I’ve heard points of doctrine that contradicted points made five minutes earlier. I’ve heard bad exegesis, bad eschatology and bad hermeneutics. However, I didn’t go on public forums and trash those respected pastors or authors. I’ve been refreshed in my spirit in hearing things said in new ways with new energy to people who otherwise would never give attention to anyone who mentions the name, Jesus. And I owe all that to pastors and teachers and authors and bloggers who were or are, for the most part, under the age of 35. I’ve become sharper in my discernment; separating truth from lies, yes, but also separating what matters most and what really counts from what creates division and what is said in hate. To you under-30s or even under-25s who are just starting out in ministry: Go for it! Study. Aim for God’s approval. Correctly and accurately handle God’s Word. Then say it the way it needs to be said to your generation, in your location at your place in time. Don’t let the world squeeze you into its mold, yes; but also don’t let the church force you into its mold, either. Do that, and I support you. Let me introduce you to The People formerly known as The Congregation. There are millions of us. We are people – flesh and blood – image bearers of the Creator – eikons, if you will. We are not numbers. We are the eikons who once sat in the uncomfortable pews or plush theatre seating of your preaching venues. We sat passively while you proof-texted your way through 3, 4, 5 or no point sermons – attempting to tell us how you and your reading of The Bible had a plan for our lives. Perhaps God does have a plan for us – it just doesn’t seem to jive with yours. Money was a great concern. And, for a moment, we believed you when you told us God would reward us for our tithes – or curse us if we didn’t. The Law is just so much easier to preach than Grace. My goodness, if you told us that the 1st century church held everything in common – you might be accused of being a socialist – and of course, capitalism is a direct gift from God. Please further note: Malachi 3 is speaking to the priests of Israel. They weren’t the cheerful givers God speaks of loving. We grew weary from your Edifice Complex pathologies – building projects more important than the people in your neighbourhood…or in your pews. It wasn’t God telling you to “enlarge the place of your tent” – it was your ego. And, by the way, a multi-million dollar, state of the art building is hardly a tent. We no longer buy your call to be “fastest growing” church in wherever. That is your need. You want a bigger audience. We won’t be part of one. Our ears are still ringing from the volume, but…Jesus is not our boyfriend – and we will no longer sing your silly love songs that suggest He is. Happy clappy tunes bear no witness to the reality of the world we live in, the powers and principalities we confront, or are worthy of the one we proclaim King of Kings and Lord of Lords. You offered us a myriad of programs to join – volunteer positions to assuage our desire to be connected. We could be greeters, parking lot attendants, coffee baristas, book store helpers, children’s ministry workers, media ministry drones – whatever you needed to fulfill your dreams of corporate glory. Perhaps you’ve noticed, we aren’t there anymore. We are The People formerly known as The Congregation. We have not stopped loving the Father, Son and Holy Spirit. Nor do we avoid “the assembling of the saints.” We just don’t assemble under your supposed leadership. We meet in coffee shops, around dinner tables, in the parks and on the streets. We connect virtually across space and time – engaged in generative conversations – teaching and being taught. We live amongst our neighbours, in their homes and they in ours. We laugh and cry and really live – without the need to have you teach us how – by reading your ridiculous books or listening to your supercilious CDs or podcasts. We don’t deny Paul’s description of APEPT leadership – Ephesians 4:11. 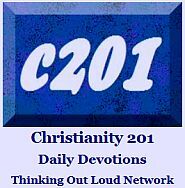 We just see it in the light of Jesus’ teaching in Mark 10 and Matthew 20 – servant leadership. We truly long for the release of servant leading men and women into our gifts as apostles, prophets, evangelists, pastors and teachers. We believe in Peter’s words that describe us all as priests. Not just some, not just one gender. And, as The People formerly known as The Congregation, we invite you to join us on this great adventure. To boldly go where the Spirit leads us. To marvel at what the Father is doing in the communities where He has placed us. To live the love that Jesus shows us. Addendum: This is a polemic. The first-person plural pronoun, “We”, is not used as Pluralis Majestatis (the Royal We) but rather is based on the post-charismatic/post-evangelical conversations that are occurring in the blogosphere. I have no more right to speak in this voice than any other person living in the liminal reality of the church in 21st century. Please note also that I have many good friends who lead within a more traditional church context for whom I have great love, as well as deep respect. They are doing their very best to be missional within their worlds. This blog began in February, but has a previous history as a bi-weekly e-mail that was sent out to about 250 people in our local area. On December 30th last year, I published a list of fifteen trends I saw in play that I felt my original, Ontario readers might want to consider. Now, it’s time to check the scorecard and see how I made out. First things first, the rest of you need to see the original article. It’s been placed as a “page” on this blog, or you can simply use this link. Then you can return and read the comments below. Later today or tomorrow, I’ll post a new list for 2009 which I think contains issues that are going to be more relevant, and makes last year’s list look somewhat superficial. Longer Teaching Time — The ‘originals’ did a good job of this, but some of the ‘copycats’ can’t sustain audience interest past the 32-minute mark. I see the sermon length continuing to expand to 35-40 minutes in places where it heretofore has not. More Expository Preaching — I was wrong on this. Didn’t see the trend grow, though I got personally hooked on Greg Boyd. For many others, I think verse-by-verse is a rather lazy approach if you aren’t going to include background material and related texts. But it’s easy to be a critic if you’re not crafting a weekly sermon. More Direct Involvement in the Third World — Yes! Financial and personal through mission trips. More Direct Involvement in Meeting Local Poverty — Yes! Though it’s still not affecting every local church. More Small Groups and Smaller Churches — Yes! It was the smaller churches part of the prediction that became more relevant. Church Closings — I was half right. The closings that took place weren’t for the logical reasons given but often had to do with the economy or leadership scandals. The Youth-ification of Sunday Morning — (Only I didn’t phrase it that succinctly…) This trend continued, although since Ancient-Future means that everything old is new again, it’s actually hard to tell if “Be Still My Soul” is a hymn of antiquity, or the coolest, new, ” in” worship song. Increased security at Church — It’s been awhile since 9/11 and while larger churches have plain clothed and uniformed security people, as well as detailed emergency plans, most medium-sized churches didn’t spend time this year considering this. Empowering the Broken — Giving voice to divorced people or single moms at the leadership level is something that is taking place very slowly over a longer period of time. Real Community — If this is playing out more at all, it’s playing out in conjunction with factor #7. Larger churches which do their small groups by zip code instead of just having homogeneous interest groups are ahead of the curve on this trend. Continuity Throughout the Church Year — With so many pastors preaching ‘series’ messages, the only way to measure the ‘interruptions’ is to see if there’s a break Sunday between series. This item should have clarified to include not only the quality of the teaching, but the quality of the worship. The issue of ‘disruptions’ should have been dealt with separately. Also, some pastors are simply away from their church too often. There. I said it. So, like I said, this list is going to seem somewhat superficial when we look at some trends I’m concerned about for 2009. Stand by. In the meantime, don’t comment on these unless you’ve read both the above and the original predictions on the link. * All across the Evangelical/Charismatic world Christians are struggling to live out their faith. You just have to read Ron Siders The Scandal of the Evangelical Conscience: Why are Christians living just like the rest of the World to see the way that we have a crisis of holiness in our churches. Thus what is occurring is that the troops that are being rallied by Emerging Missional Leaders to begin this new movement in the West are either too burnt out, deconstructing their own faith, or not even sure if they believe in Evangelism anymore. Generals will tell you that you can have the biggest and best equipped army but if you have low morale amongst your troops you are doomed. Missional movements will only get as far as people are brimming over with excitment about their faith. To drive the distance that missional movements need you need a full fuel tank. Thus many EMC missional ventures have become filled with Evangelical and Charismatic church refugees, if you understand this reality and have the patience to build up their faith again over time this can be an advantage, but if you are not aware of this dynamic it can be disastrous. Mark Sayers blogs from Australia; read the whole article Five Things We Got Wrong in the Emerging Missional Church here.